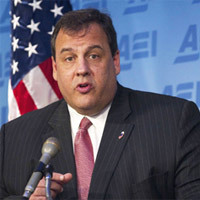 The subject: Christie canceling the “Big Dig” boondoggle in New Jersey, a railroad tunnel between New Jersey and New York. It’s cost is already estimated to cost the state $2.5 billion more than planned. 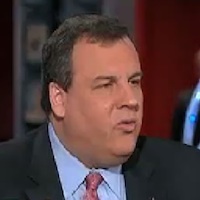 Christie will decide definitively today … but … has he says … there’s no more money. Guts.Here’s the background … then the video. Gov. Chris Christie plans to announce Friday whether he’ll kill the tunnel project — formally known as the Access to the Region’s Core — once and for all. On Oct. 7, the governor said he was doing do just that, but then agreed to a two-week review at the request of U.S. Transportation Secretary Ray LaHood, whose agency has committed $3 billion to the project. 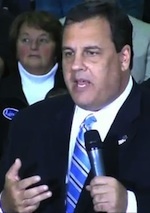 Christie, who is scheduled to meet with LaHood Thursday, is concerned New Jersey would be responsible for as much as $5.3 billion in cost overruns beyond the state’s initial $2.7 billion commitment. The Port Authority of New York and New Jersey pledged the remaining $3 billion for the project, whose original price tag was $8.7 billion. The weeping and gnashing of teeth on this project can be heard in the press and Brian Williams in his question makes you wonder if anyone in the MSM had ever controlled even a household budget. “But can’t you find the money?” Too much. Christie’s answer is classic. Enjoy. Finally a Governor willing to say … there’s no more money. UPDATE: I almost forgot. I’ll take one of these please! UPDATE 2: No, not Brian. 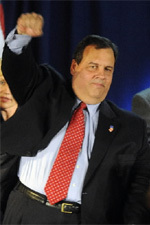 NJ Governor Chris Christie: "The day of reckoning is here." "They don't have the responsibility to balance the budget". Or the knowledge or desire. You can't buy votes by canceling eastern versions of bridges to nowhere. 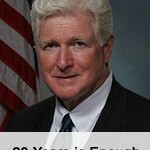 How refreshing to hear a politician that they just can't buy whatever you want and pile the costs on the taxpayer. It should be a rallying cry for fiscal conservatism. 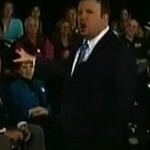 I love Chris Christie's attitude. In your face and I won't bent under the whiny liberal pressure. I bet that none of the people posting on this issue on this blog commute from NJ to NYC. Meanwhile in far-off AZ and NV, the O'Callaghan-Tillman Memorial Bridge spanning the Colorado River was inaugurated. It takes traffic off the Hoover Dam and speeds commerce between AZ and NV. 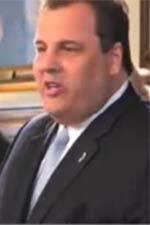 Wouldn't it be nice if more Republicans found their spine and used it like Christie ??? Sammy: the O’Callaghan-Tillman Memorial Bridge cost $240 million with $114 million of it going to the bridge construction and is projected to finish within budget requirements. This train tunnel is "$5.3 billion in cost overruns beyond the state’s initial $2.7 billion commitment". The point is that the state cannot afford it, and, in particular, its cost overruns that are an order of magnitude larger than the bridge spanning the Colorado River. Sounds like they know how to stay within a budget out west. i'll take one of these please?????????? Christie is smooth !! Politely putting this problem right back where it belongs – on the Feds. This "access to the core" is the Feds responsibility under the interstate commerce portion of the Constitution. They abrogated their responsibility and costs onto the states of NJ and NY. ( Sounds familiar to Arizona and immigration – eh?) And now the Feds will probably offer a stimulus bill to NJ (with strings attached – giving up states rights.) 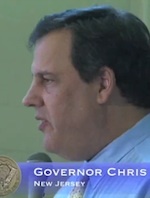 THEN – like Katrina and Haiti, NJ will be left waiting for promised help/money. 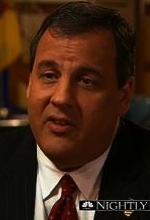 No, I don't know what happened Friday with the Christie's decision.